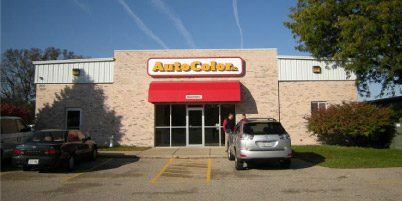 In 1991, Auto Color owner, Joe Boettinger recognized the need for specialized, high value, low cost, on-site paint repairs for car dealers. Over the years, Auto Color also made affordable minor auto body repairs available directly to auto owners to help maintain the great looks of their cars while saving money on repairs. Auto Color’s team of mobile paint repair and appearance specialists help vehicle owners and dealers increase the value, resale price, and longevity of their vehicles while maximizing driving enjoyment. Whether in our shop or with our mobile service teams, cars, motorcycles, boats, trucks and RVs, receive the same fast, high quality auto body repair service. Most repairs range from $90-$300 and we’ll have you back on the road in one day! Contact us now to schedule a free estimate for a fast, high quality auto body repair. 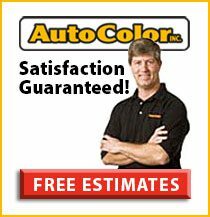 Auto Color guarantees our workmanship for as long you own your car. Some restrictions apply. If you have a concern with our workmanship, contact Auto Color immediately.